Lee Thompson is a great friend of ours and one of the best 200 4R trans builders there is. When we need one to stand up to a 800hp + street car, he is our guy. 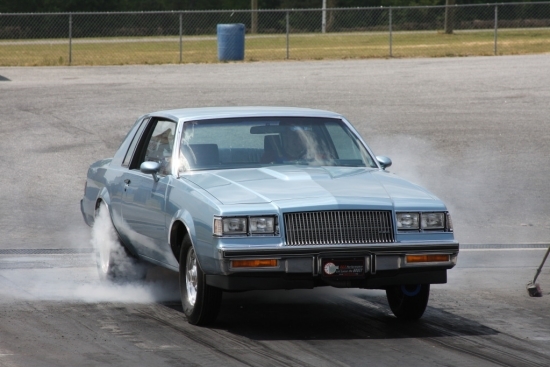 He started out with this 1985 Buick T-Type which from the factory is a low hp 3.8 Turbo V6 but without an intercooler. 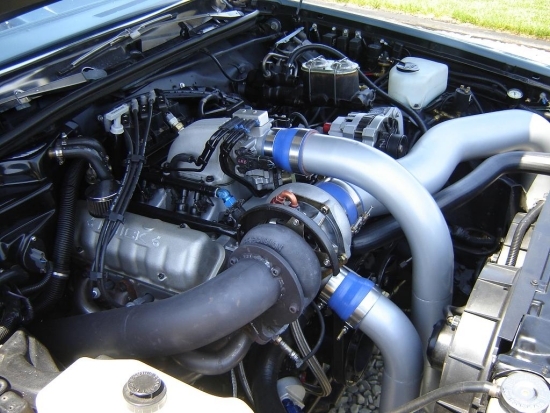 They are known as "Hot Air" Buick V6's. Leeo changed combinations several times to get his car faster and faster but still never used an intercooler. 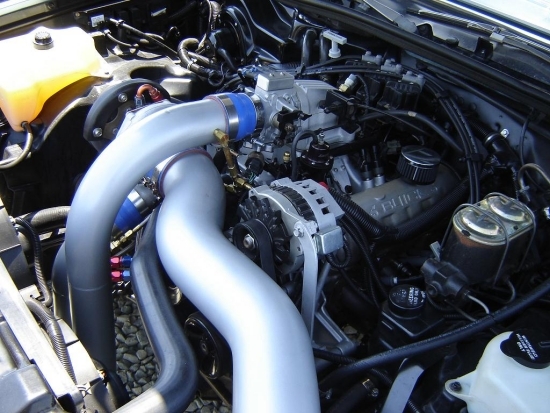 He had the fastest Hot Air Buick in the country and made it into GM Hightech magazine until he finally built a killer Stage II Buick V6 with a Powerstroke intercooler and has blasted into the 9's with ease. This is a complete street killer! He and his wife enjoy it on weekends and cruise into town to get some ice cream. See you at the races Lee'o! Lee'o has since sold his fine 85 T and replaced it with a super cool 1963 Impala black on red and with a very tired 283. 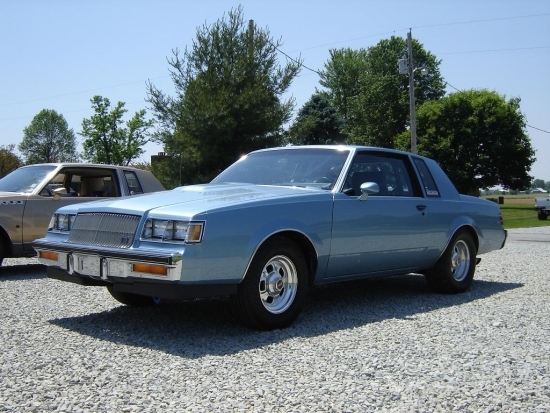 He wanted to update his car with the new style LS engine and keep the Muncie 4 speed and it turned out great.